Aarthi Kannan’s living room in her Koramangala apartment in south Bengaluru is kind of crowded this afternoon. A home schooler practises her subtraction problems in a corner. Seated across her, a Class 8 student takes a math challenge on Aarthi’s iPad, her smile showing her progress to another level. Next to Aarthi is a Class 3 student who has pride written all over his face at the math puzzle he cracked since the last class. A first grader in the middle of the room utters “I am great” for each number he writes in his book. This is a not your typical neighbourhood after-school tuition class. This is a CueMath, a unique approach to math learning that places the subject alongside other life skills, at work. The system hinges on teachers such as Aarthi, who are carefully chosen and trained, to inculcate the love for math in children from Class 1 to 8. Elsewhere in central Bengaluru, a diverse group of people including Teach for India alumni, an India regional fellow from Acumen Fund, and a teacher from outside India are seated around a large room. It’s the office of Meghshala, a company providing cloud-based teacher training and assessment modules. CEO Jyoti Thyagarajan and the people around her are developing learning modules for government teachers in both English and Kannada. A Class 8 science session on electromagnetism gets discussed including details like notes a teacher could find useful to conduct the session. 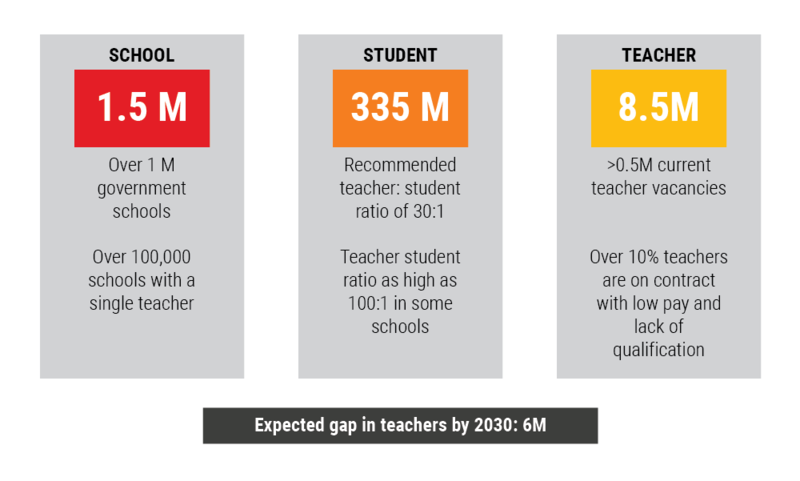 With more than 35% of India’s 1.2 billion population under the age of 15, teacher scarcity is one of the biggest and most ignored issues in the country’s education today. The gap in teachers is only set to increase further with the Right to Education Act increasing the requirements. 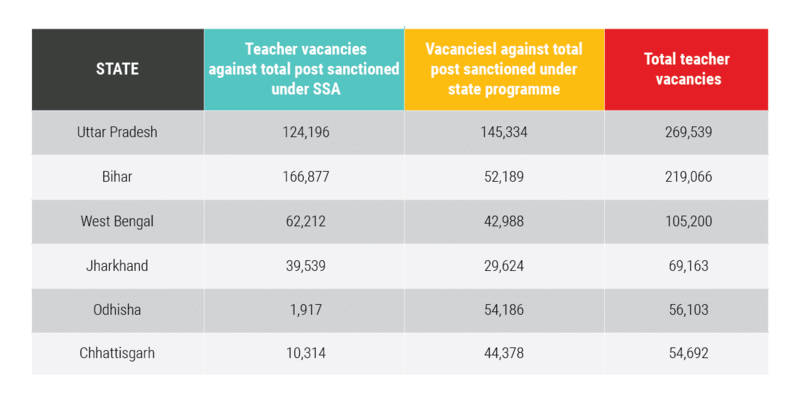 A quick look at data from Ministry of Human Resources as reported in the 2015 report titled, “Education for All: Towards Quality with Equity” shows the following states with the largest teacher vacancies. There have been efforts such as Teach for India, a movement that aims at solving the problem of educational inequity in India by creating a group of leaders who can work across diverse sectors within Education who can collectively bring about about systemic change. The TFI has over 1,200 fellows working with them currently, directly impacting about 42,000 students in 300 schools across the country. Their alumni, a group of 1,500 motivated Educational leaders are continually working to drive change and transformation through various roles within the sector.. The numbers are impressive and the current batch of applications for 2017-2019 Fellowship program are open till March 21st for more passionate teacher-preneurs to join their movement. But the question is, without technology, can this scale? What about using technology in the classroom to improve learning outcomes? Is there a training issue with teachers adopting technology to scale their reach? Central Square Foundation, a philanthropy venture fund and policy think tank focused on improving K-12 education for children from low-income communities in India, published a report called “Teaching with Technology: Early Ed-Tech adoption by Indian school teachers” in 2015. It shows that allocating resources to technology (ICT) infrastructure without complementary teacher professional development is ineffective. Add to this the low teacher motivation and pay, reliance on contract teachers and overburdening of teachers with other duties. The picture only gets bleaker. Sujatha Rao, a professor at Azim Premji University who works on whole school development and curriculum development, talks about the real issue facing the teacher gap in India today. “The National Curriculum Framework conceptualises education as being child-centered, not grade centered. Teachers are visualised as education professionals who are able to see and understand the whole child, contextualise learning such that it is relevant to each child, and ensure that schooling is meaningful to all children. This requires a level of expertise and moral commitment that is currently lacking in our system. The complexity and diversity of India means that we need teachers who are not only passionate about the profession but also have the expertise to provide contextually relevant education. The current poor quality of teacher education, the very poor status of teachers and teaching in our country, along with the lack of teacher autonomy in the classroom and a standardised one-size-fits-all approach has resulted in a crisis in teaching as a profession and in the quality of learning in our schools”. Are EdTech start-ups the answer? Over the last few years, with the rapid scaling up of demand for companies such as Byju’s, Vedantu, Simplilearn and the like, the venture capital industry, both mainstream and impact, has woken up to the attractiveness of the education sector. Education is considered a key sector for investment now and entrepreneurs are not shying away either. A quick look at start-up discovery database, Tracxn, shows that there are over 2,400 EdTech start-ups in India currently with over 200 new ones being started every year since 2012 and funding of over $180 million in just 2016. But given the issues faced by our classrooms and our teachers, who among these are really solving the teaching problem? Ken Robinson, one of world’s leading education reformers, speaks about the three pillars of formal education being a) teaching, b) curriculum and c) assessment. The dearth of good teachers and societal pressure to do well in competitive exams has startups and their backers take a shot at solving problems around the assessment pillar. So, we see test preparation and after school tuition either through online courses or through offline methods find huge demand. 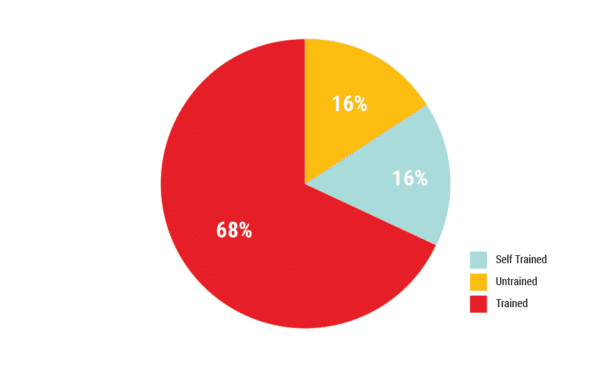 The ones marked in grey in the graphic below account for more than 80% of both number of companies and funding disbursed. It is almost as if we are starting with the assumption that the child will not learn at school. Teaching and curriculum are just someone else’s problem. But will children really learn if the short-term assessment focus continues to ignore the other two pillars of education — teaching and curriculum? Let’s look at PISA scores. PISA, short for the Programme for International Student Assessment, is a triennial international survey that evaluates education systems worldwide by testing the skills and knowledge of 15-year-old students. It measures student performance in arithmetic, reading, and science literacy. More than 70 countries have taken part in PISA. Our decades-old systems of tuition classes or the more recent test-prep apps have done little for us on the PISA front. India’s last performance in 2009 ranked our country almost at the bottom of the 74 countries, ranking at 73, just above Kyrgyzstan. Since then, we have chosen to abstain from this test. Even the homegrown Annual Status of Education report (ASER), last published in 2016, an assessment conducted by Education NGO and Foundation, Pratham, on early childhood education, shows that despite marginal improvement in the metrics, only 45% of children in Class 8 could read simple English sentences while the ability of Class 4 students being able to solve simple division remained at 26%. And this is despite the plethora of companies offering assessments as a solution. a) Cuemath: Manan Khurma is a passionate mathematician and teacher, who had already written math books as early as 2013. He could have been happy with that. But he felt that the way math was being taught in Classes 1 to 8 either led to a life-long fear of numbers or, among a select few students, an ability to ace exams, but rarely the ability to use math to solve problems in life. His solution? He developed visual and interesting math learning modules covering not just school math but also critical thinking and problem solving skills through workbooks and puzzle cards. Keeping it relevant for kids, he gamified the learning as levels of challenge the children can cross. But his biggest innovation was in the way he made this available to children. Rather than relying on the usual online delivery methods, he hired women with advanced math and science backgrounds who had to give up work typically after marriage or having children. In India, that number is huge. He had over two lakh applications to select just over 2,500 teachers as of now, a selection rate of just over 1%. By focusing on just one subject and by empowering the teachers to be micro-entrepreneurs, he was able to also bring scale. And for the students, because of the extensive technology at the back-end, they could choose to progress at the level they wanted, re-take challenges again just to learn and enjoy the challenge of math, in a non-threatening environment. As Manan says, “What gives me greatest joy is seeing the enthusiasm beyond just the metros. Imagine a CueMath teacher in Ahmedabad or Coimbatore bringing the same quality of Math learning that a child in Bangalore or Delhi could get.” The extensive teacher onboarding and mentoring process keeps the focus high on quality while in future Manan plans to explore a personal adaptive learning path for each child. 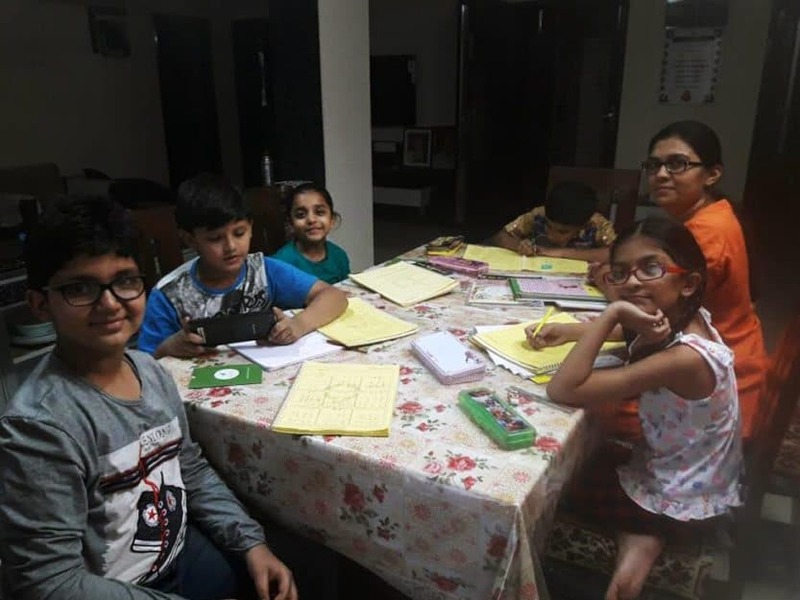 Aarthi, the CueMath teacher in Bengaluru we began this story with, gives the example of a boy, “terrified of math”, who came to her but started finding joy in the subject in a few months. “That, for me, is the biggest strength of CueMath learning. I just wish more parents would let the children learn and stop trying to get them Olympiad ready when they are struggling with decimals and fractions,” she says. Investors have taken note. In January this year, CueMath raised $15 million in its second round of venture funding. The round was led by Capital G, the venture funding company of Google parent Alphabet Inc. First round backer Sequoia India also participated. CueMath will use the funds for business expansion and product development. b) Meghshala: Jyoti Thyagarajan, the founder of Meghshala, on the other hand, has her eyes set on government schools and affordable private schools where the teacher problem is the most acute. Her vision is to impact over 100,000 teachers by 2020. “And I do believe that grades 5 to 8 are the most neglected grades within that. So we started with that,” she says. Meghshala has built teach-kits for mathematics, English, social studies and science in both English and Kannada that can be loaded on the mobile phones of the teacher. These teach-kits are marked based on the text-books at each grade level making it easier for teachers to plan their lessons. Teachers are also given projectors so that they can use these lessons effectively while delivering lectures in class. “Our system works on trust. We don’t measure teachers on how much they use our modules. We let them self-assess their own progress and also help the school districts plan their assessments seamlessly using the same system.” adds Ullas Kumar, Head of Strategy and Operations. 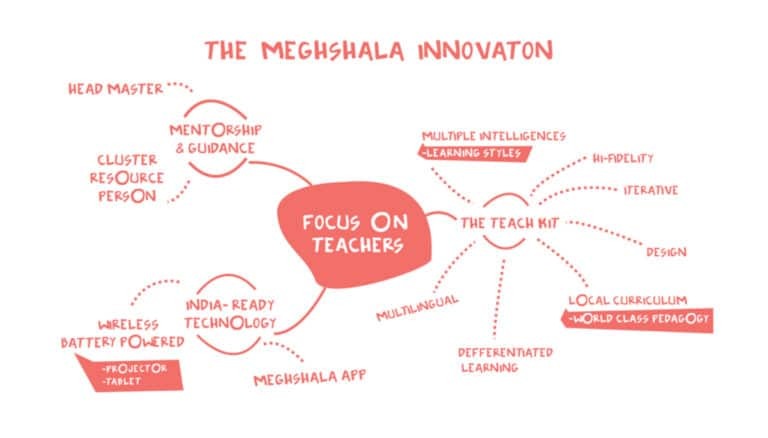 Meghshala provides apps for teacher self-assessment and for progress monitoring by cluster heads. Meghshala is currently available in over 100 schools with over 2,000 lessons in Karnataka. CueMath and Meghshala are just two examples of companies with passionate founders trying to do their best to bring a difference to the way learning and teaching outcomes can be improved in India. To be sure, there are others such as Gyanlab and Totsmart that look at diving personalization in Education to improve learning outcomes. Access to funding, acceptance from schools and parents are long-drawn battles these startups will continue to fight — notwithstanding CueMath’s recent Series B funding round — as they build their solutions. It will take time to get out of the assessment trap mindset Indian parents and society pushes our children mindlessly into. For me, personally, the biggest difference between them and the many other edtech entrepreneurs I have met over the last two years is the fact that these startups are found and led by educators first. They are using technology as an enabler for providing scale. But it is their unique insight as teachers that gives them a deep understanding of the issues our country faces and the way in which we could address them. It will take time to get out of the assessment trap mindset Indian parents and society pushes our children mindlessly into. To solve the looming teacher gap, the biggest thing we probably need, is more such teacher-entrepreneurs rising up to the challenge and solving the problem they understand best. As Sydney J. Harris, an American journalist for the Chicago Daily News and later Chicago Sun-Times, said, “The whole purpose of education is to turn mirrors into windows.” That opening up in Indian education has just begun. This article has been written by guest author Debleena Majumdar, an ex-employee of Unitus Ventures (formerly Unitus Seed Fund) and was originally published on FactorDaily.